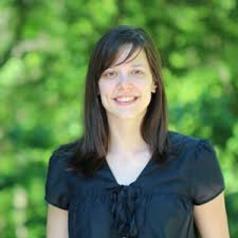 Dr Kimberley Davies is a postdoctoral research associate in Oceanography at Dalhousie University. She received her BSc in biology from the University of Victoria and a PhD in Oceanography from Dalhousie University. She began working on right whales in 2007 with the goal of improving our understanding of the environmental and biological processes affecting their habitat use in Canadian waters. Her research and publications cover a range of areas, including environmental factors structuring right whale prey aggregations and habitat connectivity; universal energy content relationships; processes controlling whale migration, and using new sampling tools to better quantify whale-habitat relationships. In 2014 she began the Whales, Habitat and Listening Experiment, an 8-year collaborative research program co-funded by government, NGOs and industry that seeks to improve knowledge of baleen whale – habitat relationships as well as adaptive conservation management of right whales through real-time acoustic monitoring. This project was instrumental in the discovery of a new right whale habitat in the Gulf of St. Lawrence. Her work has produced new oceanographic, marine-ecological and marine-mammal insights and has led to effective and practical conservation policy. She has received several awards for her work on right whales, including the Liber Ero Postdoctoral Fellowship in conservation research in 2015, followed up in 2017 by the CNC-SCOR Early Career Ocean Scientist Award given by the Canadian National Committee for the Scientific Committee on Ocean Research. She is an active board member of the North Atlantic right whale Consortium and member of the Canadian Right Whale Recovery Team. She is committed to engaging the public and policymakers on science-based decision-making and right whale issues. In the last two years she has participated in more than 50 media interviews, public presentations and documentaries to raise public awareness about their current plight.